Colladeen® is a rich source of anthocyanidins from the extracts of grape seed and bilberries. Anthocyanidans are compounds found in dark skinned fruits, berries and even pine bark, thought to support collagen health. Colladeen® uses a level of anthocyanidins that reflects current and ongoing research into collagen protection and regeneration. Anthocyanidans are known to help reinforce and preserve collagen in the body. Colladeen has powerful potential ability to enhance the health of blood vessels, meaning it is thought to be beneficial for vascular insufficiency. Compromised or weakened collagen can cause health problems in the body including worn joints, easy bruising and non-medical fluid retention. 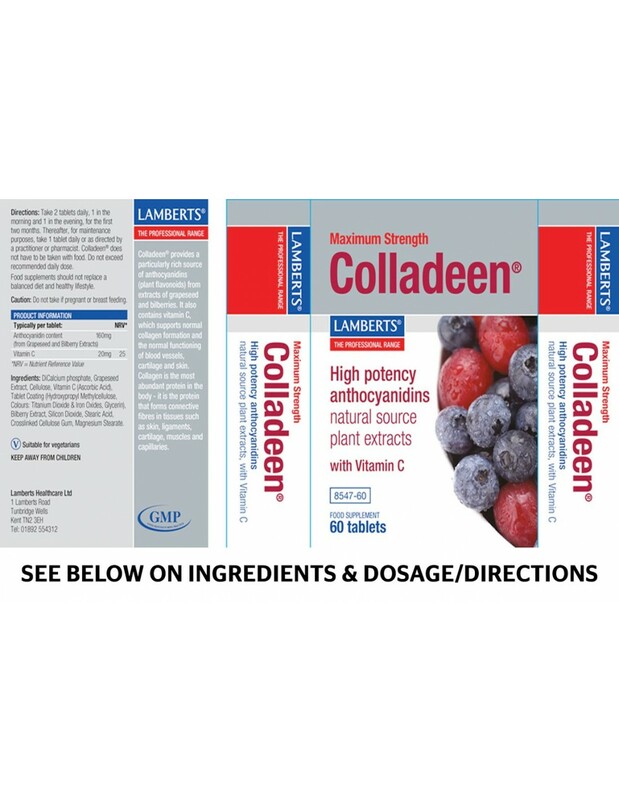 Colladeen can help to support the body’s collagen levels. Maximum Strength Colladeen® is one of the richest sources of anthocyanidins from Grapeseed extract and Bilberry extract) on the market, providing 160mg per tablet. 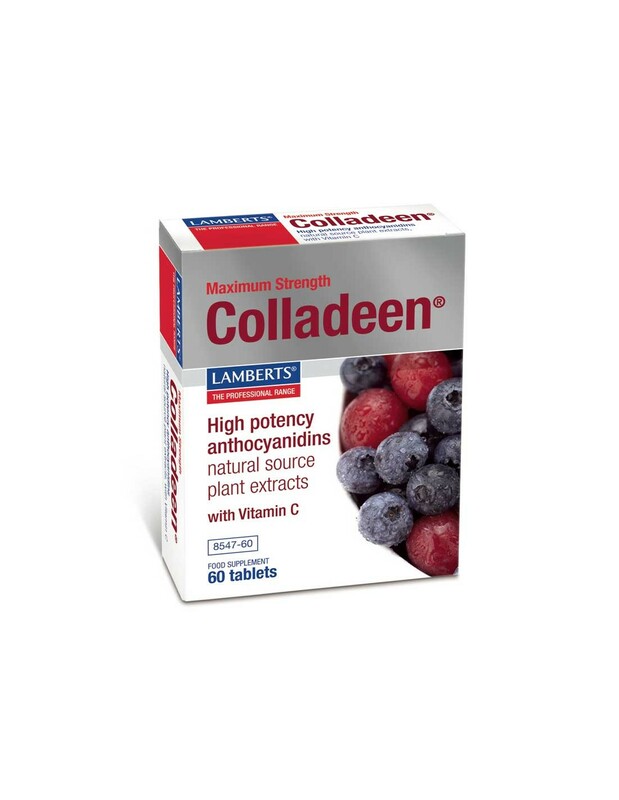 Colladeen® is the most potent anthocyanidin formula available, providing a full 160mg of anthocyanidins (from extracts of grapeseed and bilberries) per tablet. Anthocyanidins are compounds found in dark skinned fruits, berries and even pine bark, thought to support collagen health. This is why Colladeen® uses a level of anthocyanidins that reflects current and ongoing research into collagen protection and regeneration. Herbalists have used anthocyanidins (plant flavonoids) for centuries due to their powerful antioxidant properties as well as the important role they play in the health of the blood vessels in our bodies. 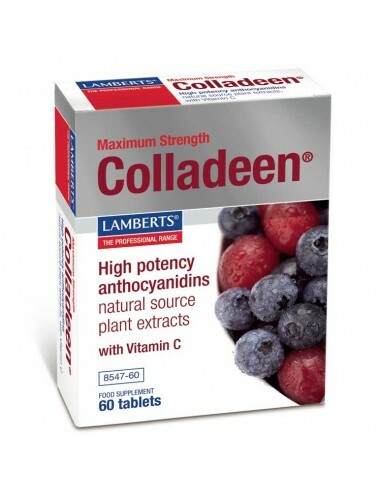 Colladeen is a rich source of anthocyanidins from the extracts of grape seed and bilberries. 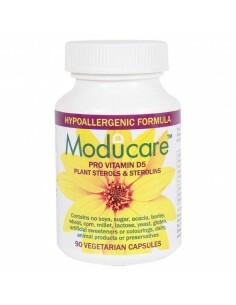 It is an invaluable addition to many supplement regimes. It has powerful potential ability to enhance the health of blood vessels, meaning it is thought to be beneficial for vascular insufficiency. Using an antioxidant-dense multi-nutrient formula makes good sense as far as preventative health care is concerned. However, in order to maximise antioxidant defences, plant-derived antioxidants should also be incorporated into the diet and supplement regimes. The flavonoid family is uniquely positioned for such a task, since they are physiologically active in both fatty and watery environments in the body, which makes its overall antioxidant properties many times that of vitamin C or vitamin E.
Other Ingredients: Dicalcium Phosphate, Grapeseed Extract, Microcrystalline Cellulose, Tablet Coating (Hydroxypropyl Methylcellulose), Titanium Dioxide, Iron Oxides, Glycerin, Crosslinked Sodium, Silicon Dioxide, Bilberry Berry Extract, Magnesium Stearate, Stearic Acid.